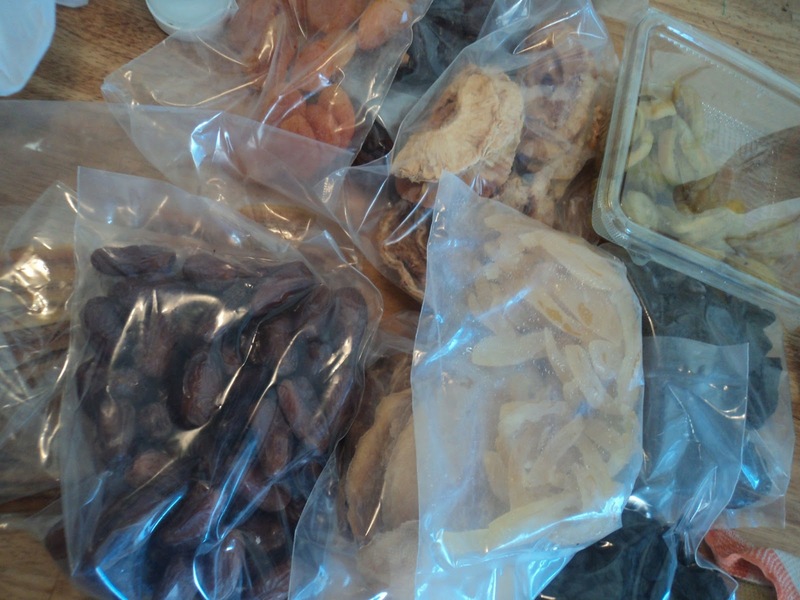 Assortment of dried fruits- figs; apricots; pineapples; mangoes; prunes; raisins; dates (with Walnuts); super dry dates; bananas; dried lemons; candied fruit peel. Nuts: Walnuts - squeezed into dried dates, a delish sweet accompanist to hot tea. Pack what ever you and your family enjoy. Nutritious, chewy , instantly moistens the mouth in desperately dry climates, plus keeps the hunger bugs away. Almonds Instant relief for heart-burn. With a lot of folks I see habits remain the same, not adjusted to being outside yet, with others a complete admiration for their ingenuity and acclimatization to their whole new environment. Facing head-on and surpassing the call of duty. For me that's what CAMPING is all about. Knowing and learning more about one's self. Let the FUN begin! Teas: Hot- Beverage-Jar. A ground mix or bag with whole ingredients. A ready-to-go all-comforting Chai drink. I'm always saving plastic containers so I can reuse for freezing such stuff as the below. 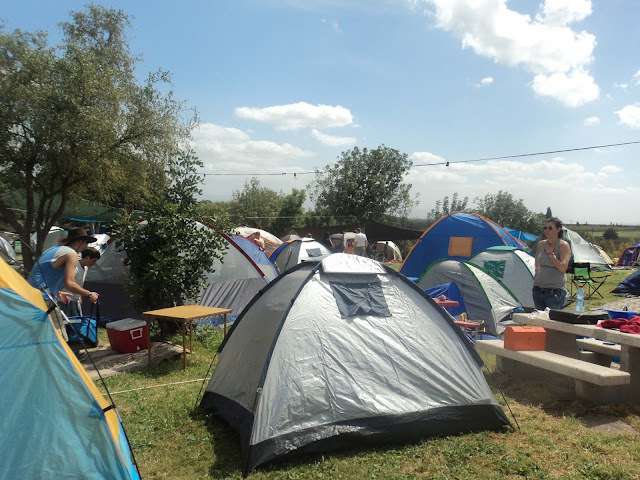 At festivals where there is running water etc, a plastic scrub and detergent in a small convenient squeegee bottle such as a child's water bottle with a twist open nozzle is handy. I usually don't carry this, only at festivals, as in the desert I use dry dirt or if camping on the beach I use sand as a detergent or abrasive and then rinse off with sea water. A small table is handy for preparing food and eating on, it could be just a make-shift small board resting on a box. Dried sage leaves for making tea. A must for those stomach upsets that can easily happen camping out. 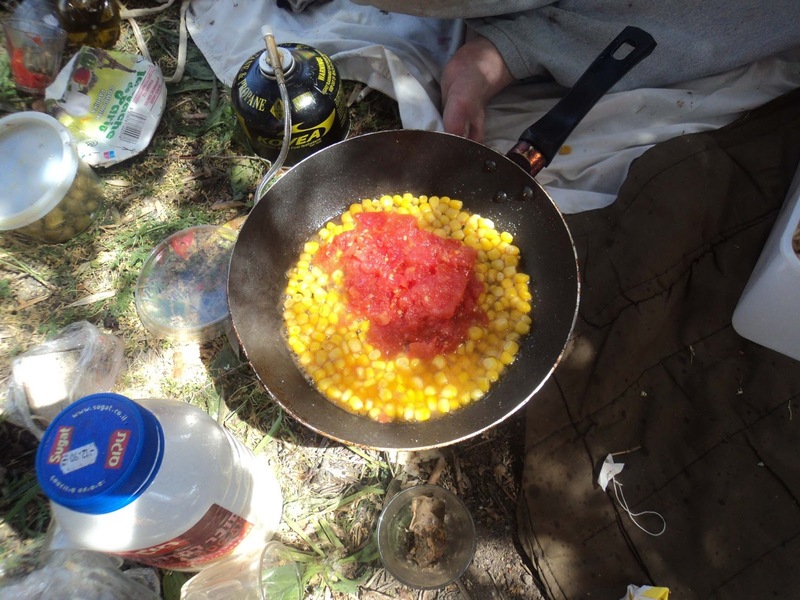 Tin Corn, Frozen home-made tomato/veggie sauce or often the blessed canned tomatoes. 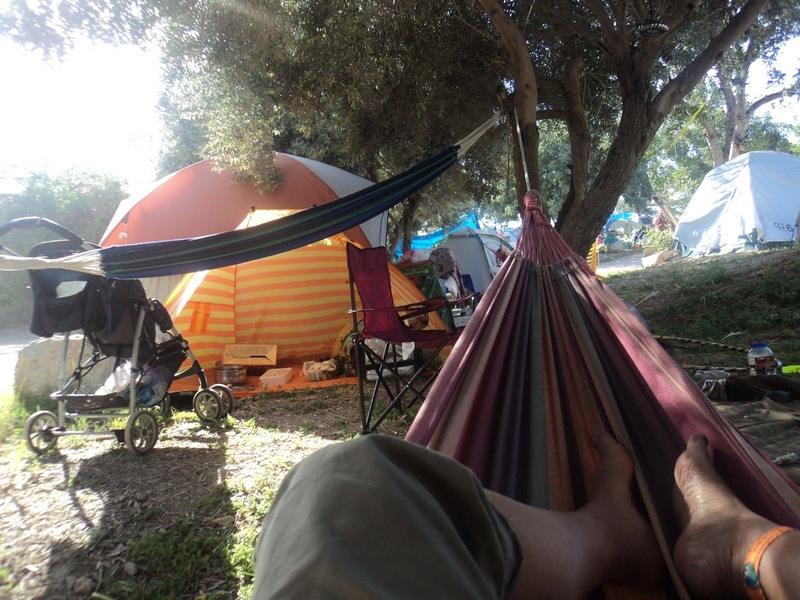 As I was thinking hard on the hammock, (as you can plainly see) of updating my old and trusted camping list, I realised Hey! this is blog worthy material for all to share and contribute. I'm all for learning new tricks in the camping catering challenge. Especially at festivals, never a better time to people watch, I love to learn how folks meet up to the challenge of 'survival' living in the great outdoors. Perhaps techniqually not a dressing but used and just as handy as one is my favourite . Sauces stored in plastic bottles ready for pouring! If you are using milk take along that long-life kind, multiple small cartons rather than one large carton or get one that is in a bottle/container so you can close and avoid spillage. Though when camping I never bother with milk or anything that might call for milk such as cereals etc. 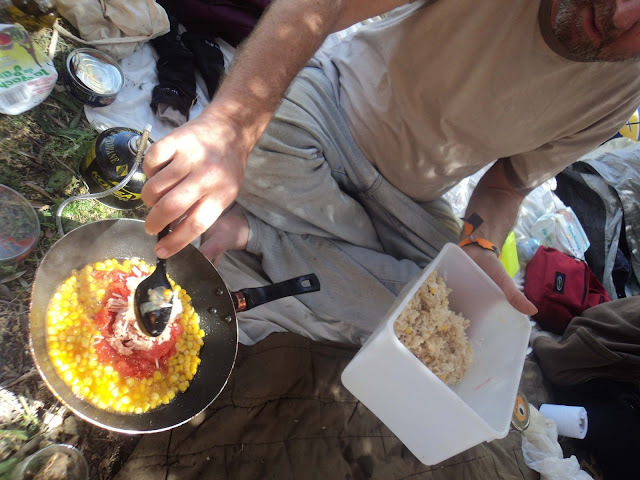 Shashuka never tasted or looked more appetizing than while camping! For camping I prefer soft coolers as opposed to the hard bulky coolers. I can easily stuff them with frozen bottles of water for drinking and frozen foods. This way I don't need those ice freezing packs taking precious space. The bottles and my frozen foods not only stay cold much longer but keep everything else in the cooler cold. Perfect! Recipe for Dal: Same recipe for the Carrot Lentil Cumin Soup just don't process it at the end. 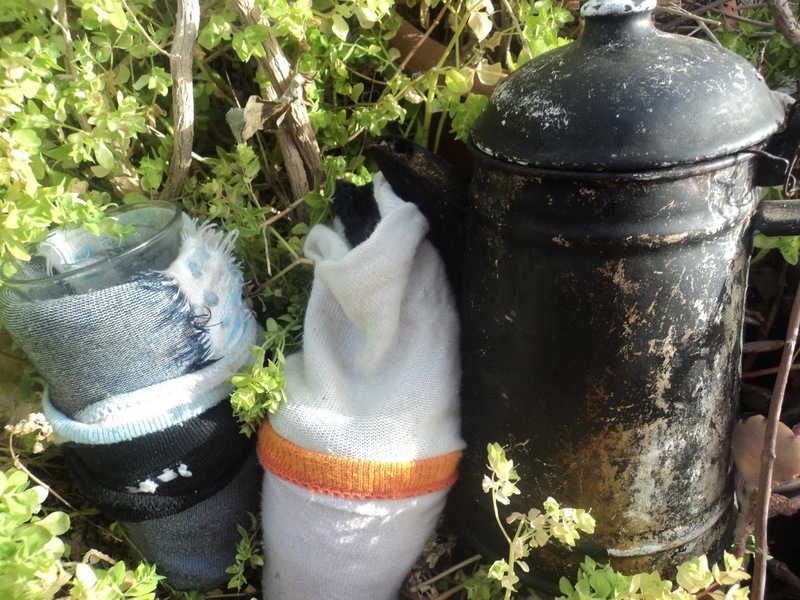 Another great tip when the kids were smaller was having a bundle of pot noodles (*'Magic" brand is our family's favourite) Hot water is easy to make and then keep in a flask for emergencies when they just HAVE TO EAT NOW. Spicy tuna or kid friendly tuna salad for sushi filling is handy for both camping and picnics.